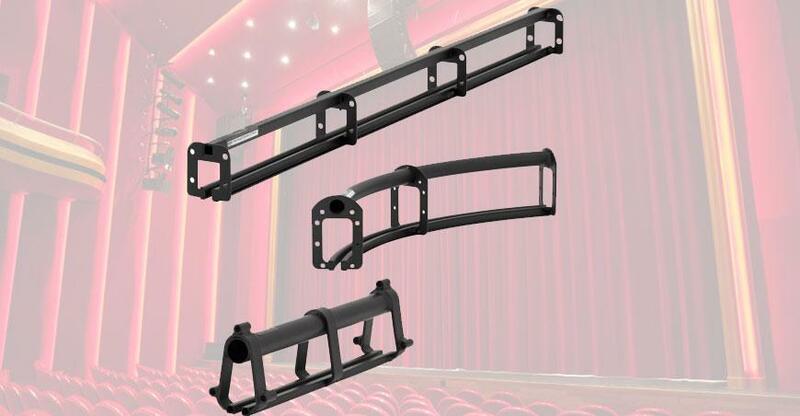 Stage Curtains India can supply and install a range of stage curtain track systems that are suitable for almost every application, material or drapery. Curtain tracks are the hardware components upon which the curtains are hung and moved. The tracks are fixed to the rigging system that has the capacity to hold heavy weight of the fabric. They allow smooth transitioning of curtains hooks. They can be straight or curved or Wavy. As the name suggests straight are installed where there is no need of aesthetic curvature. Curved ones are installed where the curtains slightly curve in a concave or convex direction and Wavy form goes about in a slight swirl. Their price totally depends upon the preference of stage designer. Apart from the geometrical bend, tracks are also varyingly found in different styles, movement, and dependable strength. Their size and structure can be chosen on the basis of approximate curtain weight, its fabric, size, style of suspension, the degree of curvature and operation. Tracks are easy to install almost anywhere and require very little upfront investment. The only thing to be considered is the force that the weight of the fabric will be straining on the mounting area. There are new ways innovated each day from circular tracks to two-way folding, depending upon the fullness required. They are extensively used in halls, theatres, schools and offices, are very easy to handle, require very low management and enrich the look and feel of the place where they are installed. They also help in increasing the life of the curtain fabric itself by putting less stress and stretch when the curtains open and close. Even houses can make use of this mechanism switching from the conventional rod towards the modern pulley roller tracks.